Bead Electronics announced to customers the addition of a GF Vertical Milling Center expanding their capabilities in fine pitch hard milling. Bead prides themselves as being able to provide a custom, production tooled part delivered in three to six weeks. The new technology will allow Bead to reduce their current tool making time by half. “Our customers value their partnership with Bead during the NPI process, leveraging Bead’s creative approach to swaging for solutions to their applications. Reducing the time from concept to actual parts will increase the value Bead brings to the design table,” Lou Guerci, VP of Sales and Marketing. Innovation and evolution are at the heart of the Bead organization. “Our continued investment in technology demonstrates our commitment to the growth and evolution of Bead. 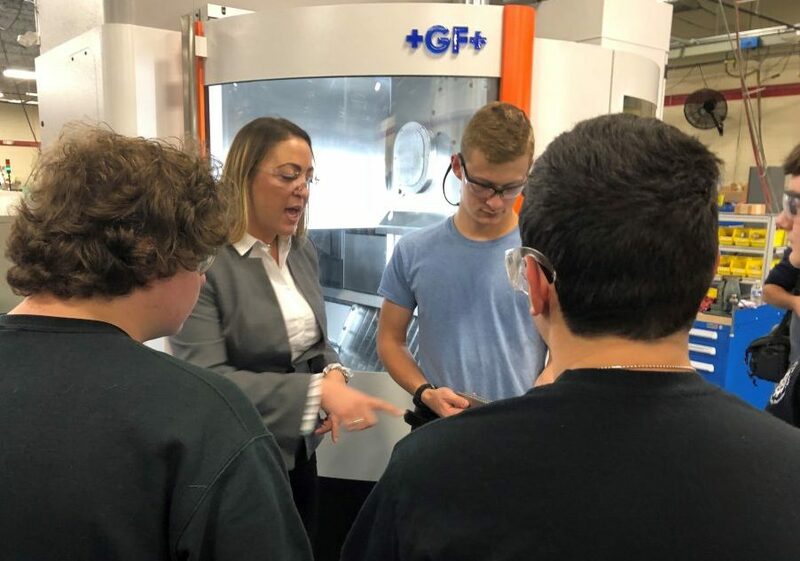 The purchase of this vertical milling center is another step forward in the modernization of our factory in Connecticut and expansion of the capabilities we can offer our customers across the globe,” Jill Mayer, CEO. Learn more about Bead Electronics and their unique process at http://www.beadelectronics.com.